Congressman Jim Renacci’s (R) victory in Tuesday’s Republican Senate primary sets up a crystal-clear choice for Ohio voters this fall. Do they want Sen. Sherrod Brown (D) to continue fighting for the Great Lakes, for more clean energy jobs in Ohio and for a safe environment for Ohioans and all Americans? Or do they want Rep. Renacci — who has cast over 200 votes against clean air and water in his nearly four terms in Congress — in the Senate doing the bidding of his lobbyist friends in the fossil fuel industry? Rep. Renacci holds the sad distinction of a shockingly low 3 percent lifetime score from the League of Conservation Voters (LCV), meaning he has voted against the environment and public health 97 percent of the time throughout his career in Congress. Last year, his LCV score hit a perfect zero. 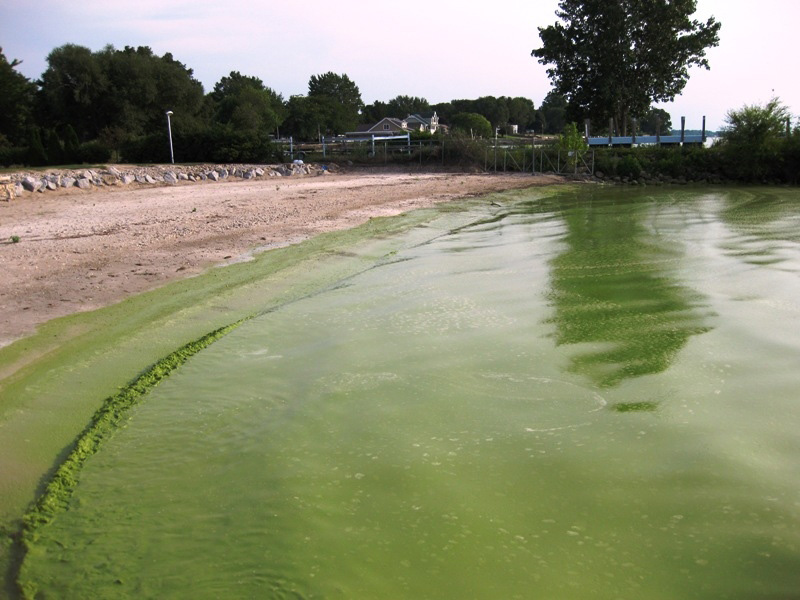 A toxic algal bloom on the shore of Catawaba Island, OH in Lake Erie. What’s next — drilling in the Great Lakes? The Ohio Conservation Action Fund points out that Renacci has the support of President Trump, “one of the most anti-environment politicians in history.” Trump tweeted that he needed Renacci in the Senate to achieve his agenda — an agenda that has included destroying the EPA, dozens of attempts to weaken enforcement of environmental and health safeguards, and ending our country’s leadership role in the fight against climate change. Now that the primary election is over, the choice for Ohio families could not be more clear. Sen. Brown has a record of fighting for all Ohioans, for clean energy jobs in Ohio, for a cleaner Lake Erie, and for a healthy and secure future for Ohio’s kids. Brown deserves re-election to the Senate, and Renacci deserves retirement.